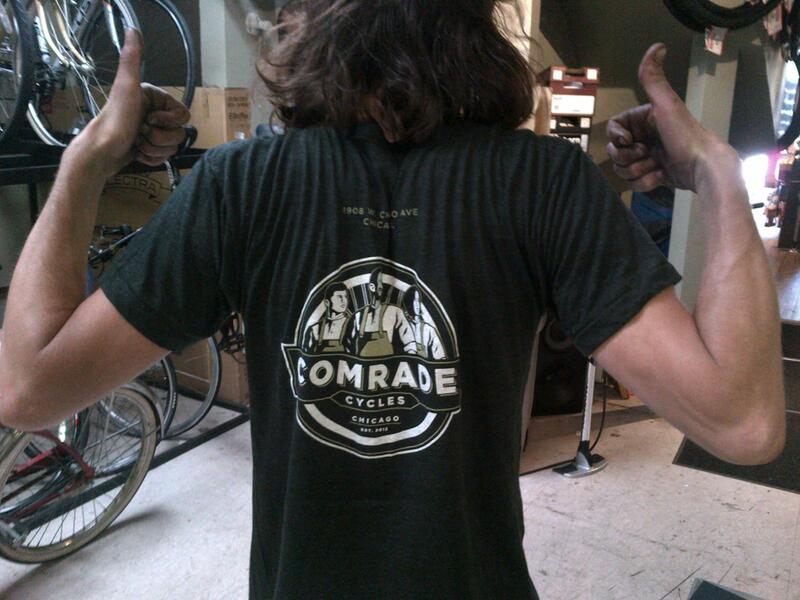 Comrade t-shirts, hot off the presses! Our t-shirts have arrived, come by and pick one up! $18. We currently have Sm-XL and will be getting smaller sizes soon. This entry was posted in Products and tagged bike shop chicago, comrade cycles, t-shirt by admin. Bookmark the permalink.